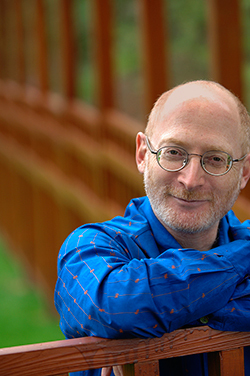 The 2019 Grammy Awards honored Pulitzer Prize-winning composer Aaron Jay Kernis with prizes in two categories for his violin concerto: Best Contemporary Classical Composition and Best Classical Instrumental Solo. Violinist James Ehnes and the Seattle Symphony under conductor Ludovic Morlot premiered the concerto and recorded it on Onyx Classics [ONYX 4189]. It's a great thrill to receive this wonderful honor! First I want to thank the Recording Academy and voting members for their support. James Ehnes is a truly spectacular musician and collaborator (as well as being a great human being) — James took everything I threw at him with good humor and generosity, and made the knuckle-busting passages and everything else I gave him sound absolutely dazzling. To the truly inspiring Ludovic Morlot and the musicians of the Seattle Symphony, who, in a few days played the Concerto as if they'd lived with it their entire lives. Thank you to Simon Woods for believing in me, and to Dimitri Lipay: such a remarkably exacting and patient engineer who made a recording with the energy of live performance and the perfection of the studio. It's a wonderful time to be writing new music, and my extraordinary colleagues for this award, Missy, Du Yun, Mason and Jake are making the present so exciting with the richness and pleasure of their work. They all deserve this! And to my kids, Delphine and Jonah, and my wonderful agent Elizabeth Dworkin, who will share this joy with me! The concerto has been taking audiences by storm across the globe since its premiere in 2017, hailed as, 'A killer new concerto' by the Seattle Times' Thomas May. The work was commissioned by the Seattle, Toronto, Dallas, and Melbourne Symphony Orchestras. Both the Seattle and Toronto Symphony premieres were in March of 2017, and a performance by Leonard Slatkin and the Deutsche Symphonie-Orchester Berlin followed.